With his impressive roster of short films and music videos, including his recent debut at several global film festivals, filmmaker Hayk Matevosyan is creating waves in the cinematographic world. As a graduate from UCLA’s School of Theatre, Film, and Television, Matevosyan has gone on to direct a number of impressive, artistic films and music videos under the mentorship and guidance of some of film’s most impressive names, most notably Mardik Martin (New York, New York, Raging Bull, Mean Streets). 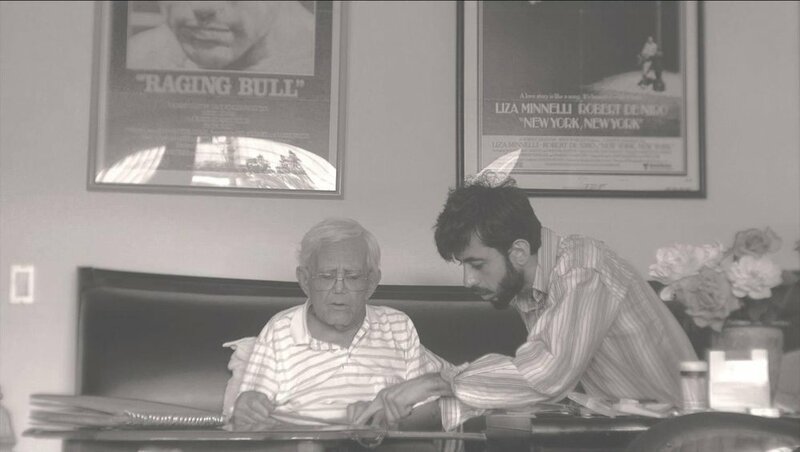 The filmmaker with his mentor, Mardik Martin. Courtesy of Hayk Matevosyan. After graduating from UCLA's TFT and prior to meeting Mardik Martin, Matevosyan assisted one of Hollywood's most prominent female directors, Penelope Spheeris (Wayne's World,The Decline of Western Civilization, the Grammy-nominated music video for Queen's "Bohemian Rhapsody." His professional experience and training has allowed him to develop a skilled eye in curating visuals, sounds, and themes which make for an overall compelling cinematic experience. Such is the case with Matevosyan’s short film, “Սիրիա, Սեր Իմ (Syria, My Love),” which depicts the heartbreaking realities of the Syrian Civil War that is still plaguing the country to this day. The short film was an official selection in twelve global film festivals, and even won the Special Jury Award at The Pomegranate Film Festival in Toronto. His short experimental film, “Poetry of Dreams,” is now in its festival run, while his other short film, “The Passenger,” has thus far been accepted to eight film festivals in eight different countries, having premiered at the historic Egyptian Theater in Hollywood during the Arpa International Film Festival on November 4, 2017. A still from Bei Ru's "Tortoisehead" video. Courtesy of Hayk Matevosyan. The young filmmaker’s list of accolades and achievements don’t stop there — this past summer, he was one of ten directors selected out of twelve hundred applicants to Cici Film Festival’s Director’s Lab, and got to travel to Sicily to create a short film and screen it over a twelve-day period. His film, “A Dog and 3 Men,” which was filmed with non-professional actors living in Sicily, won “Best Short Film” as well as the “Audience Award” at the closing ceremony of the festival, marking the first time in the festival’s history that a director won both top awards. In addition to his clear talent and knack for directing and filmmaking, Matevosyan has also directed over ten music videos, including the official music video for Bei Ru’s “Tortoisehad,” which was an official selection at the 2017 Austin Music Video Film Festival, as well as the Sarajevo Fashion Film Festival. I was fortunate enough to ask Hayk a few questions regarding his background, inspirations, motivation, and overall direction as a filmmaker. Read on to hear what the burgeoning director has to say! Behind the scenes at the Cici Film Festival. Courtesy of Hayk Matevosyan. What inspired you to pursue the world of cinematography? I was part of the generation that grew up in the depriving times of the Nagorno-Karabakh War between 1988 and 1994. Due to the blockades, the Armenian government was unable to provide the state with electricity for more than two hours per day. My father rented all kinds of films that I would watch during those hours. Watching movies during those times probably was the initial inspiration that eventually developed in me the passion for films and art. Movies became my escape from the dark, cold and harsh reality of that era. Watching films made me feel like I was in a wonderland. It helped me forget the reality and immersed me into a poetic world of cinema. You’ve done a lot of amazing work with music videos — my personal favorite is your video for Bei Ru’s “Tortoisehead.” Can you tell us about the creative direction and work that went into making that video with the artist, models, and Vahe Berberian? Most of the visuals I create in my music videos are a combination of my dreams and cinematic influences. In the case of Bei Ru’s music video, the concept was inspired by the visual stylistics of two great filmmakers, Alejandro Jodorowsky and Sergei Parajanov. I’m really lucky and thankful that Bei Ru trusted my vision and gave me full creative control in bringing his music to a visual realm. All the actors were amazing in creating the poetic world I wanted to see on the screen. It was especially humbling to know that such a great artist like Vahe Berberian was willing to be a part of our music video. It was an absolute pleasure to work with him. A still from "Poetry of Dreams." Courtesy of Hayk Matevosyan. When directing music videos, how do you keep the focus on the sonic experience delivered by the music, while still providing beautiful cinematography? I have this condition called synesthesia, where I can visualize sounds. When I hear music I can see it as colors, images, and patterns. For me, music is almost like a painting. I hear it and at the same time I see it. I’d say that making music videos is very liberating for me as an artist. I’m lucky to have met my cinematographer, Justin Richards, with whom I’ve been working for the past two years. He totally understands what I want visually and with his superb talent brings my imagination to life. Not only did “Սիրիա, Սեր Իմ (Syria, My Love)” provide a heartbreaking look at the reality of the Syrian War, but it also made a point as to how cinematography, and art in general, can be so imperative in relating the human condition through historical and sociopolitical events. How did it feel to direct a video on an event of such contemporary significance, and how did you work to portray it in a raw, genuine manner? As a filmmaker I believe that I have an obligation to tell stories that concern us as a global community. I think cinema is a powerful tool that brings people together and transcends race, religion, and nationality. I wrote “Սիրիա, Սեր Իմ (Syria, My Love)” to show that there could be a possibility of love and peace during the times of hopelessness. It is a story about an artist who, after losing his family in the civil war, refuses to abandon his studio in Aleppo. The protagonist of my film tries to prove that it is possible to "fight" bombs and bullets with his art and belief in humanity during the times of inhumane cruelty. 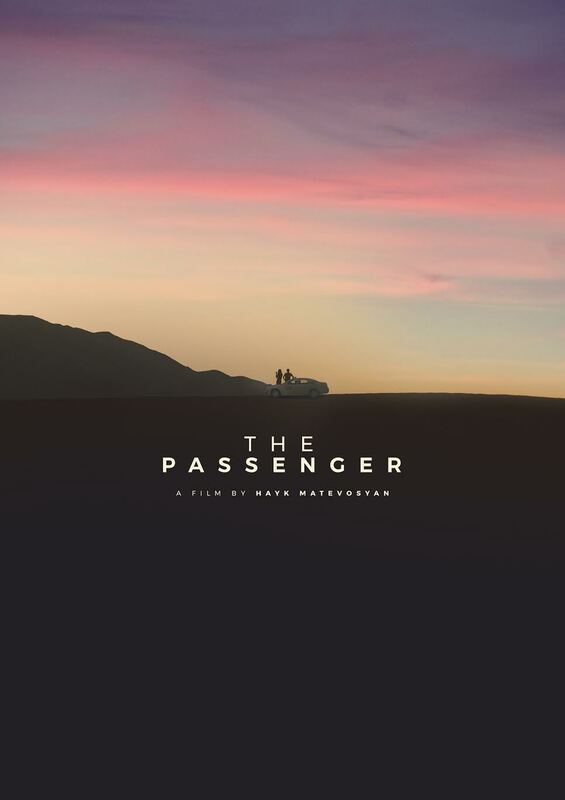 Poster for "The Passenger." Courtesy of Hayk Matevosyan. Your latest films, "The Poetry of Dreams" and "The Passenger," have been garnering quite a lot of attention at film festivals -- how is that experience going for you as an up-and-coming filmmaker? It is humbling to see people all over the world connecting with my work. I am thankful to the festivals and the audience for the love. It makes me more motivated to create art. What should people look out for in the near future from you? Where do you hope to see yourself as a director in the long run? I have finished filming an art installation with my cinematographer, which we are planning to exhibit sometime in 2018. Currently, I’m in the pre-production of my next short film called “Love”. In the long run, I want to eventually make my first feature-length film. I have been writing the screenplay for it with my mentor, Mardik Martin for the past two years. I'd like to give a tremendous thanks to Hayk for the interview, and for sharing his inspiring journey from a young dreamer during the Nagorno-Karabakh War to an accomplished, talented director and filmmaker pioneering his way through the world of cinema. Be sure to keep up with all of Matevosyan’s work by following his Instagram account (@haykm_) and checking out his Vimeo profile!